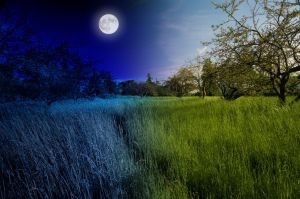 I suppose you’ve noticed that recent issues of this newsletter have begun with sustainability views, followed by current news, and concluded with examples of activism underway to achieve solutions—night and day! Let me explain why I’ve chosen this particular format. As a former philosophy major (also music), I’m drawn to concepts that involve profound, critical thinking, and a broad theory-of-everything, all-inclusive context that integrates as many interrelated aspects as possible. For this reason, I seek writers who express ideas, concepts, and perspectives that are “big picture” oriented in scope, those capable of distilling past and current information into sensible theories that explain and clarify existing world conditions. I also appreciate thinkers who function as “futurists”, by imagining and projecting potential future scenarios and outcomes. I think you’ll find such qualities expressed in the Sustainability Views section. Sustainability News covers a wide range of issues, with most related to the Big Four E’s: Environment, Energy, Economy, and Equality. These areas include topics associated with the conservation and protection of all natural resources, the reduction, reuse, and recycling of consumed items, the promotion of rights, justice, and equal opportunities for all world citizens, and the mitigation of ongoing and future threats caused by climate change. In the Sustainability Solutions section there are examples of constructive action underway, including proposals for major systemic social, economic, and political makeovers. One notable example is the concept of a steady-state economy (see Herman Daly’s article), which presumably could provide all citizens with basic life needs and equal opportunities for individual fulfillment, reduction in resource consumption and waste products, and, most importantly, an eco-ethic that favors non-material values over an outmoded obsession with excessive materialism. In other words, we need to move towards adopting an eco-ethic that’s based on the concept of consuming “enough” to live well, as opposed to accumulating more and more stuff. Contrary to the current, long-standing value system that’s based on constant economic growth to accumulate more material goods—in tandem with wealth, prestige, and power— we could instead adopt a value system motivated by such values as simplicity, thrift, creativity, and “living within limits”. The article, “We Have Enough Together” (Vicki Robin), elaborates on this theme quite effectively, so I urge you to read it. > The Archdruid Report: The Suicide Of The American Left (John Michael Greer). The one thing that can reliably bring a nation through a time of troubles of the sort we’re facing is a vision of a different future, one that appeals to enough people to inspire them to unite their energies with those of the nation’s official leadership, and put up with the difficulties of the transition. That’s what got the United States through its three previous existential crises: the Revolutionary War, the Civil War, and the Great Depression. In each case, when an insupportable status quo finally shattered, enough of the nation united around a charismatic leader, and a vision of a future that was different from the present, to pull some semblance of a national community through the chaos. We don’t have such a vision in American politics now. > Weathering The Storm: Cop-21: Crunch Time In Paris (R. Michael Conley). The upcoming Conference of the Parties (COP-21) December meeting in Paris is part of the ongoing UN-led effort to address climate change. The session is considered pivotal in that its objective is to produce a binding, universal agreement on addressing climate change starting in 2020—the time at which current commitments on greenhouse gas reductions run out. A lot of airtime will be dedicated in the coming months to climate change and clean energy issues. If we can get beyond the myopic gobbledygook and take a longer term look at what’s really at stake, we have a chance—if not for us; then for our kids. > Resilience: We Have Enough Together: Talking Resilience With Vicki Robin (Ken White, Vicki Robin). All of the problems that are facing us are problems of misunderstanding of freedom and limits, whether it’s ecological death, climate change, economic meltdowns, injustice, and privilege. I think there is a conversation we need to have about the value of limits, and the limits of freedom, a conversation that is an anathema to the American mind, because we have developed what I consider a fairly degraded sense of freedom, which is entitlement, “I can do whatever I want whenever I want and you can’t stop me.” “Enough” sounds like deprivation when your mind is soaked in this notion of entitlement. A set of limits creates a container, a structure within which things happen. There is no freedom without limits. > Resource Crisis: Cecil The Lion: Understanding The Secret Of A Supermeme (And Its Relevance To Climate Change Communication) (Ugo Bardi). “Cecil the lion” is having so much success because it has the three basic characteristics that make a meme a supermeme. These are: 1) It is a simple story (man kills lion); 2) It has a villain (evil hunter); and 3) It is reassuring (it’s not us who are destroying wildlife; it’s evil hunters). Climate-change supermemes are more difficult to create, although the Pope’s encyclical has done rather well, as has the online search phrase “97% consensus” on science. In the end, it is a war that can be won (with or without memes) as the evidence of climate change mounts and becomes impossible to ignore. It is comfortable to fight on the side of truth! > Resource Insights: The Future Isn’t What Is Used To Be (Kurt Cobb). In Tomorrowland there is some higher intelligence guiding our inevitable progress and ultimate triumph over the forces of nature. This film is a badly written exposition of the modern myth, namely, that humans are inexorably heading toward a technotopian future guided by some innate wisdom that insures not only that humans will survive, but that they will thrive while building ever greater monuments to civilized life–following the template of Tomorrowland, of course. In Mad Max: Fury Road if there is some higher intelligence guiding human destiny, we do not see or feel it. Humans left to their own devices will ruin everything on Earth. They will ultimately leave it barely habitable for the few who survive. > Peak Prosperity: Paul Ehrlich: The Population Bomb (Adam Taggart; podcast and script). In 1968, Paul Ehrlich released his groundbreaking book, The Population Bomb, which awoke the national consciousness to the collision-course world population growth is on with our planet’s finite resources. His work was reinforced several years later by the Limits To Growth report issued by the Club of Rome. Fast-forward almost 50 years later, and Ehrlich’s book reads more like a ‘how to’ manual. Nearly all the predictions it made are coming to pass, if they haven’t already. > The New York Times: Obama’s Flexible Fix To Climate Change (Joe Nocera). On Monday (Aug.3) afternoon, President Obama unveiled his Clean Power Plan, formalizing some tough new rules from the Environmental Protection Agency that are aimed at reducing the carbon emitted by power companies. There is no bigger source of carbon pollution; the goal is that by 2030, carbon emissions will be reduced by 32 percent from their 2005 level. In the fight against climate change, nothing is more important. Once again, opponents are up in arms, forecasting calamity for the utility industry if the rules are allowed to stand, with at least a dozen states planning to sue the E.P.A. > Common Dreams: Obama Climate Plan: Testament To People Power, But Much More To Do (Sarah Lazare). The finalized Clean Power Plan, announced jointly by Obama and Environmental Protection Agency (EPA) administrator Gina McCarthy, is being widely heralded as the biggest step any president has taken to combat climate change. The proposal rests on reductions of greenhouse gas emissions from domestic power plants—a significant move, given that coal-fired plants are the single biggest source of carbon dioxide emissions in the United States. Before now, there were no federal rules limiting carbon emissions from power plants. > Tyee: ‘ Perfect Storm’ Engulfing Canada’s Economy Perfectly Predictable (Andrew Nikiforuk). Throughout the world, analysts no longer refer to bitumen as Canada’s destiny, but as a stranded asset. They view it as a poster child for over-spending, a symbol of climate chaos, a signature of peak oil and a textbook case of miserable energy returns. Nearly $60-billion worth of projects representing 1.6 million barrels of production were mothballed over the last year. A new analysis by oil consultancy Wood Mackenzie reveals that capital flows into the oilsands could drop by two-thirds in the next few years. > Transition Voice: Nicole Foss Full Interview on Peak Oil, Financial Crisis, Resilience, and More (http://jordanosmond.com/2015/07/21/nicole-foss-interview) As part of the documentary A Simpler Way: Crisis as Opportunity, Samuel Alexander and Jordon Osmon filmed this almost 2-hour-long interview with Nicole Foss of The Automatic Earth. Nicole provides easy to understand answers in response to questions on peak oil, financial crisis, energy descent, resilience, community, and simple living. > Reslience: Peak Oil Notes – Aug 7 (Tom Whipple). A wave of pessimism is engulfing the oil industry, as prices show no signs of rebounding from multi-month lows. Although the stocks report showed an unexpectedly large drop in the US crude inventory of 4.2 million barrels last week, this was offset by a surge in refining and an increase in US gasoline inventories of 800,000 barrels that sent prices lower on Wednesday. The London futures market hit a six-month low of $49.02 on Wednesday and closed at $49.59. US futures closed at $45.15 the lowest since last March. The second steep drop in oil prices is dimming hopes that a price rebound will happen soon. > Scientific American: Shallow Fracking Wells May Threaten Aquifers (Jeff Johnson). Several thousand near-surface hydraulic fracturing, or fracking, operations for oil and natural gas production in the U.S. pose a potentially significant risk of contaminating drinking water sources, according to a new analysis. This first national assessment of fracking focused on well depth raises particular concerns about fracking wells less than a mile deep. > CASSE-The Daly News: Would the Steady-State Economy Be a Miracle? (Herman Daly). Metaphysical humility remains a virtue for both science and religion. The longevity of a steady-state economy is a metaphysically humble goal appropriate for limited creatures in the face of ignorance and mystery. Christianity and science both recognize the fundamental finitude and frailties of this Creation. Christianity offers ultimate hope in New Creation; science necessarily remains mute about that. Scientism, however, seeing no limits to this Creation, offers, instead of hope, the campaigning optimism of, for example, the Coming Singularity of the digital “new creation” with immortal silicon-based consciousness, or IBM’s new creation of “building a smarter planet,” or NASA’s new creation of colonizing Mars. > ENSIA: The Search For Sustainable Plastics (Phil McKenna). There are solid reasons for pursuing more sustainable alternatives to conventional plastics — namely, plant-based plastics. Such so-called bioplastics are able to degrade, dramatically reducing the risk that they’ll end up polluting land or sea. They also lower our dependence on fossil fuels, reducing plastic’s carbon footprint. Greenhouse gas emissions associated with bioplastics are 26 percent lower than those associated with conventional plastic. > Resilience: An Interview With Toby Hemenway, Author Of The Permaculture City (Chelsea Green). We’re developing the idea that because permaculture’s lessons apply so well in creating dynamic, healthy physical landscapes, they can probably do the same for cultural and social landscapes. That’s the hot and exciting edge of permaculture now, under the headings of social permaculture, financial permaculture, and urban permaculture. Now there are neighborhoods and communities all over the US, and all around the world, where these experiments are being done with great potential and success. > e360Yale: Undamming Rivers: A Chance For New Clean Energy Source (John Waldman & Karin Limburg). Many hydroelectric dams produce modest amounts of power yet do enormous damage to rivers and fish populations. Why not take down these aging structures, build solar farms in the drained reservoirs, and restore the natural ecology of the rivers? > Yes! Magazine: What’s A Death Midwife? Inside The Alternative Death Care Movement (Jennifer Luxton). As 20th century consumerism took hold and people were more likely to die in a hospital than at home, death receded from public consciousness. From funeral cooperatives to green burials, there’s a kinder, gentler, less expensive way to die.